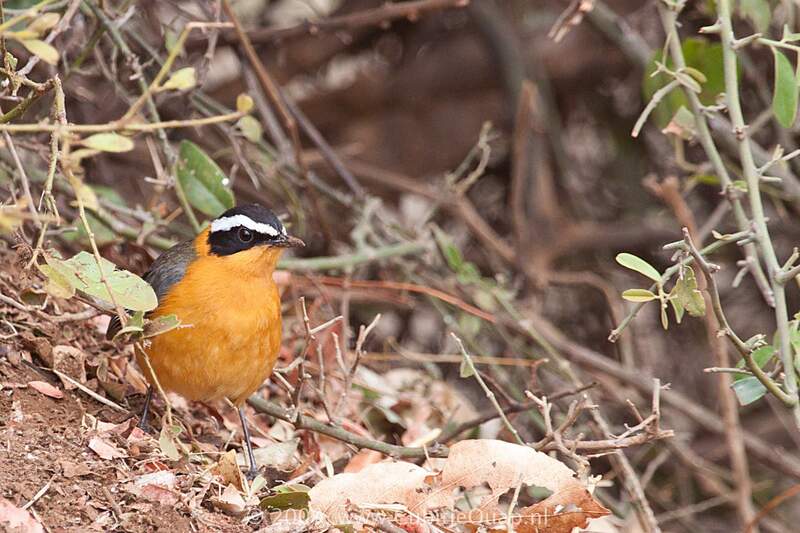 May be distinguished from the similary sized and coloured Chorister Robin-Chat by the paler back and broad, conspicuous white eyebrow stripe. Juvenile is sooty coloured, with heavy buff and brown spotting on the upperparts and underparts; the tail is red-orange with a dark centre as in adult. Dense riverine thickets and tangles, gardens and parks. A characteristic, loud, crecendo song of repeated phrases.